Junie B. Jones, a musical based on the books by Barbara Park, will make an appearance at the City Theatre for five performances on Saturday, March 23 through Sunday, March 24. Junie B. Jones is a musical by Marcy Heisler and Zina Goldrich (The Broadway-bound musical based on the film Ever After, Dear Edwina, Taylor the Latte Boy) based on the best-selling books by Barbara Park. The production was originally directed by Peter Flynn (TheaterWorksUSA’s Nate the Great, Henry and Mudge, Artistic Director of Hangar Theatre) and choreographed by Devanand Janki (Off-Broadway: Zanna Don’t, Cupid & Psyche). The scenic design is by Luke Hegel-Cantarella (TheaterWorksUSA’s Corduroy), and the costumes are by Lora LaVon. This 60-minute musical is recommended for audiences age 5 and up. The show was nominated in 2006 for the Lucille Lortel Awards for Outstanding Musical and Outstanding Choreography. 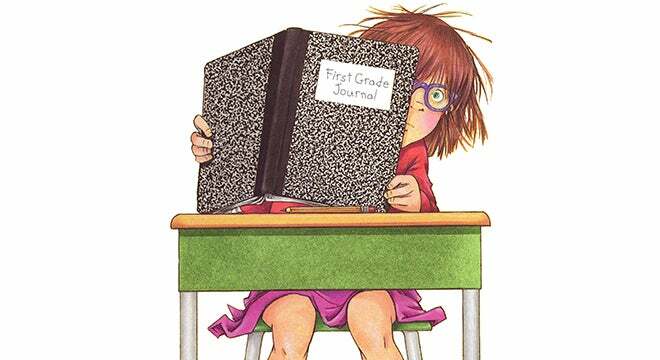 After a brief New York City-area tour in spring 2004, Junie B. Jones premiered Off-Broadway at the Lucille Lortel Theatre in July 2004, and is now one of TheaterWorksUSA’s most popular productions. Junie B. Jones began its national tour in fall 2004, and a second national touring company began touring in spring 2005. The show returned for engagements at the Lortel Theatre in November 2005 and March 2008. Junie B. Jones is able, as are all TheaterWorksUSA productions, to play a wide range of venues, from large Broadway-sized performing arts centers in major metropolitan areas to elementary school cafeterias in small towns. Discounts are available for groups of 8 or more. For more information on group sales, call 313.471.3099, email [email protected] or CLICK HERE to complete our interest form.